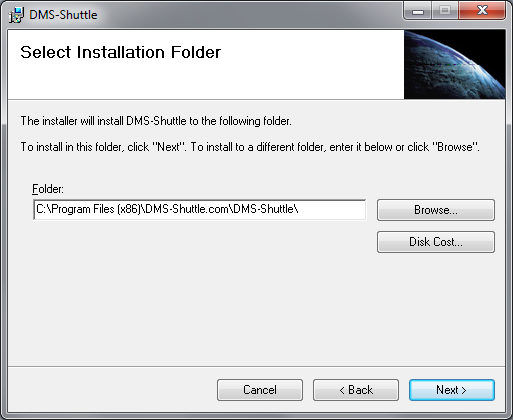 DMS-Shuttle can be installed on every Windows computer that has Internet (or Intranet) Access. No server installation is needed. Launch the Setup Installer (setup.exe). Read and accept the terms in the End User License Agreement. Wait for the installation process to complete. Then you can close the dialog and launch the tool. You will then have 15 days to try out the product and make sure that it fits your needs.